Jean, Josaphat (birth name: François-Joseph-Victorien) [Йосафат (Франсуа-Жозеф-Вікторіен) Жан] – French-Canadian priest of the Ukrainian Graeco-Catholic Church (UGCC), religious, missionary, active in political and community affairs; born on 19 March 1885 in Saint-Fabien, Quebec, Canada; died on 8 June 1972 in Grimsby, Ontario, Canada; buried in the Sts. Peter and Paul Ukrainian Catholic Church Cemetery in Mundare, Alberta. After completing his theological studies at the Major Seminary of Montreal, in August 1910 Jean was ordained a Roman Catholic priest. In the following month he travelled to Galicia where he studied the Ukrainian language and church rite in a Basilian monastery in Krekhiv. In 1911 he changed to the Byzantine rite of the UGCC. He subsequently returned to Canada, via England, and from the autumn of 1912 was the director of a Ukrainian missionary school in Sifton, Manitoba. After deciding to join the Basilian Order, in the autumn of 1913 he travelled again to Krekhiv where he entered the novitiate. Six months later he received the Basilian habit and took the monastic name of Josaphat. Unable to return to Canada owing to the outbreak of the First World War, in August 1914 he moved to a monastery in Lavriv (Staryi Sambir raion, Lviv oblast), where he served as a priest in at least seven parishes. After returning to Krekhiv, in March 1917 he was transferred to Zhovkva where he served for a year as an assistant priest. In the second half of 1918 he was temporary director of a Basilian boarding school for boys in Buchach, and subsequently became librarian in the Buchach monastery. In 1919-1920 the Rev. Josaphat Jean worked as a translator, interpreter and secretary for the governments of the Western Ukrainian People’s Republic (ZUNR) and the Ukrainian People’s Republic (UNR) in Galicia, Kamianets-Podilskyi and Warsaw. In 1919 he also became a military chaplain of the Ukrainian Galician Army and chief secretary of the Ukrainian Red Cross branch in Warsaw. From August 1920 to April 1923 he worked for the ZUNR government in exile in Vienna. Along with other ZUNR representatives he took part in various international conferences and meetings lobbying for the rights of Ukrainians in Eastern Galicia. In February 1921 he travelled to London with the ZUNR minister of foreign affairs for meetings with British politicians and Canadian diplomats, and a year later held meetings in London with British church officials and politicians. He also came to London in 1923. In August 1923, at the request of Metropolitan Andrei Sheptytskyi, Jean moved to Bosnia with the object of re-opening an abandoned monastery of the Ukrainian Studite monks in Kamenica (having joined the Studite Order himself). At the beginning of November 1923 he was also appointed parish priest for Ukrainian Graeco-Catholics in the settlements of Kamenica and Dubrava Stara and Dubrava Nova. Early in 1925 he was compelled to leave Bosnia because the local authorities were obstructing the Studite monastery’s continued existence. For a short time he served as parish priest in the village of Sibinj in Slavonia, Croatia, then in March 1925 he returned, via England, to Canada, tasked with establishing a Studite monastery there, as well as a colony of Ukrainian settlers. On an area of land (almost 650 sq. km) in the county of Abitibi, reserved by the government of Quebec, he founded a settlement (then called Sheptytske, later re-named Lac-Castagnier) for Ukrainian immigrants from Galicia. In 1931 he re-joined the Basilian Order. 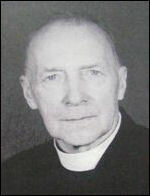 Between 1932 and 1940 he was an assistant priest at the UGCC church of St. Michael in Montreal and served a number of other congregations in the parish. He then became parish priest of St. Michael’s church in Montreal (1940-42) and the UGCC parish in Ottawa (1942-45). In January 1946, at the request of the UGCC bishops and the Basilian Order in Canada, the Rev. Jean came to Europe to assist in efforts to re-settle post-war Ukrainian displaced persons. At first he had several meetings in London, where the issue of displaced persons was being discussed at the first session of the United Nations General Assembly. Subsequently he was based mainly in Paris. In February 1947 he was appointed parish priest for London by Bishop Ivan Buchko, the apostolic visitor for Ukrainian Graeco-Catholics in Western Europe, by agreement with the Basilian Order, and arrived in the capital on 1 March. In mid-1947, by which time there were about 10 UGCC priests in the country, he was appointed dean of the UGCC Mission in Great Britain. In March 1947 he identified an unused church building in Saffron Hill, London, which, with the assistance of Cardinal Bernard Griffin, head of the Roman Catholic Church of England and Wales, was purchased for the UGCC (becoming the first church to be owned by the Ukrainian Catholic Church in Great Britain). He was personally involved in the renovation of the building and the establishment at the church of a parish office and accommodation for priests. In addition to his pastoral duties, he co-operated with the Central Ukrainian Relief Bureau in London and the Association of Ukrainians in Great Britain in providing assistance to the large numbers of Ukrainians arriving in the UK from 1947. At the request of Bishop Buchko he also visited the Apostolic Nuncio in Dublin, Republic of Ireland, and the primate of the Roman Catholic Church of Ireland in Armagh, Northern Ireland, to seek help in obtaining grants to enable Ukrainian students from the UK to study in Ireland. He was first deputy head of the Relief Board for Ukrainian Students in Great Britain (KoDUS), founded in 1948. In August 1949 Jean was instructed by the Basilian Order to return to Canada. He served as an assistant priest in Edmonton and Mundare (1950-58) and in Vancouver (1958-61). In 1957 he became Honorary Director of the Basilian Order’s museum in Mundare, founded largely on the basis of collections of antiquarian Ukrainian books and other objects which he had assembled in the course of his life. In the same year he was awarded an honorary doctorate by the Ukrainian Free University in Munich. He spent the final years of his life in the Basilian monastery in Grimsby, Ontario. At the end of 1963 the Father Josaphat Jean Foundation was founded, with the aim of awarding grants to students of Ukrainian descent in Montreal. Keywan, Z., A Turbulent Life: Biography of Josaphat Jean, O.S.B.M., 1885–1972 (Verdun, 1990).